I do really hope you enjoyed the prior two posts on differentiated instructions tools for reading using technology. I thought in this post it would be interesting to focus on DI writing technology tools. I see this as really multiple concepts. One deals with the actual writing process and the others provides tools and resources for various writing opportunities and student engagement In this post I will deal the first concept and the following posts will explore that wide range of writing and engagement opportunities. I believe that the DI classroom must provide students some self autonomy when participating in the writing process. At the same time there must be formative assessment and proper guidance that promotes needed success and growth. Many times when I was in school I would write a paper, the teacher would return it with an appropriate amount of red ink, and I would rewrite to the new specifications given by the teacher. While I may have gained a little in the process, I think the skill most acquired was how to rewrite a teacher’s edit. In these cases I had little ownership, or autonomy, in the the process. If we are to address real learning and skill acquisition, the student must own the process at the level they are at. In this act of self regulation the teacher has the opportunity to help navigate the way. With this in mind, I tried to find five tools that provide students the ability to own the learning while internally processing the skills. In this type of student-centric classroom the teacher provides the needed and timely facilitation. I really do think that as students use tools like the ones provided below, teachers will use a lot less red ink. This will free up that necessary time to work with individuals, and in small groups, as they students begin to own their writing process. Cast Science Writer – This amazing UDL tool from the people at CAST scaffolds the process of supporting students in writing lab and class reports. This tool is geared toward middle school and high school students. Check out the supports and help available in Science Writer website, or click the “Take a Tour” button on the site to see how Science Writer works. Along with learning about the animated helpers, you will also become more familiar with the main portions of Cast Science Writer which include the below concepts. A Report Structure – All parts of a science or lab report are broken into small steps so the author can concentrate on one part of the report at a time.A Writing Process – Science Writer helps students through the process of draft, revise, and edit when writing a science report.Checklists – These are available when a student revises and edits a science report. These checklists will help students check for content and grammar errors while working autonomously.Journal – This is a place in Science Writer where students may write notes, reflect, make comments or questions, or keep track of data.Sentence Starters – The “Help Me Get Started” button has two functions (1) it divides the writing into smaller sections and (2) provides sentence starters when on the draft screens in the writing process. Think of it as a way to help get the writing started. 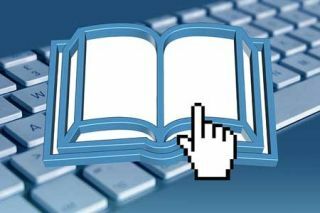 SAS Writing Navigator – This free web tool is part of an amazing collection of educational resources at SAS Curriculum Pathways. The Writing Navigator Tool provides formative assessment to students in regards to their written work. Students are able to revise their writing with the help of this wonderful tool. It allows students to focus on their purpose and audience, essay structure, and use of written language (sentence economy, variety, power, and clarity). They learn to ask questions experienced writers ask automatically. As a result, students can begin to express themselves with greater precision and power. Best of all, students experience voice and choice as they write. The teacher is able to differentiate the learning experience by providing students varying difficulty levels of writing elements such as; clarity, power, variety, wordiness, passive voice, fragments, prepositional phrases, verbs, pronouns, and modifiers to name a few. It is certainly a tool that all students will find value in, as they learn in a formative and self regulated manner. Hemingway Writer – Many times a student may need help making their writing more bold, clear, and to the point. Think of Hemingway as a spellchecker, but for style. It makes sure that writers are provided a formative assessment writing session. This provides an opportunity for the writer to focus on the message, not the prose. This tool allows students to reflect on ambitious thoughts that can be innumerable and disorganized and instead edit to provide a clear statement. After-all, any bit of writing could use some cutting. Students have the opportunity to learn that sometimes, less really is more. The Hemingway editor highlights (in yellow and red) where writing is too dense. Students are encouraged to remove needless words or splitting the sentence into two. It also provides as score “reading level” that actually gauges the lowest education needed to understand the selected writing. It also provides tools for passive voice, use of adverbs, and identification of complicated words. Perhaps teachers could also use this when editing their writing for a specific student reading activity. The web version is free and their is a desktop app for a fee. Be sure to read the help section for valuable information. Visuwords – This is a great tool that allows students to explore and work with words as they write. Perhaps they wish to look up words to find meanings or associations with other words and concepts. A student can enter any word into the Visuword search box to look that word up. They are then able to see a visualization that leads to meaning, related synonyms, and parts of speech. Students are able to select different nodes to see the definition of that word group. They can also click and drag individual nodes to move them around to help clarify connections. Keep in mind that Visuwords is….a dictionary!a thesaurus!great for writers, journalists, students, teachers, and artists. an online dictionary is available wherever there’s an internet connection.free… there is no membership or fee is required. Quill – This unique website provides learning activities that engage students in the writing process through web applications teaching grammar, vocabulary, and especially… writing skills. Using the teacher dashboard, teachers can pick from over 150 activities built from 42 Common Core standards and view the results through a mastery-based system. Best of all, most features are free. Some of the most popular activities include comma usage, capitalization, verb tense agreement, and commonly confused words. Each activity takes 10 minutes in length and students receive instant feedback on their work. The instantaneous grading system allows teachers to provide individualized instruction for students who need the most in-class help, while giving advanced practice to students who are ready for more challenging materials. Quill is a free literacy tool powered by an open source, non-profit community of educators and developers. *Please keep in mind these tools are web 2.0 tools allowing for 2 way interaction at different levels. Please read your school acceptable use policy and the websites terms and privacy. Get parent permission where needed. Explore these articles that I found through extensive research while reflecting on differentiated instruction in the classroom. You will find ideas from some amazing authors and organizations. Please take a moment to enjoy these articles filled with even more possibilities as you provide tools to differentiate writing in the classroom. Please keep in mind that my primary focus in this post has been on self assessment in the writing process. Please remember that peer assessment and collaboration is equally important. The technology available to support and amplify this concept is powerful in the 21st century classroom. This technology along with digital support for student choice and engagement to promote writing will be important ideas in the next few posts of this series.